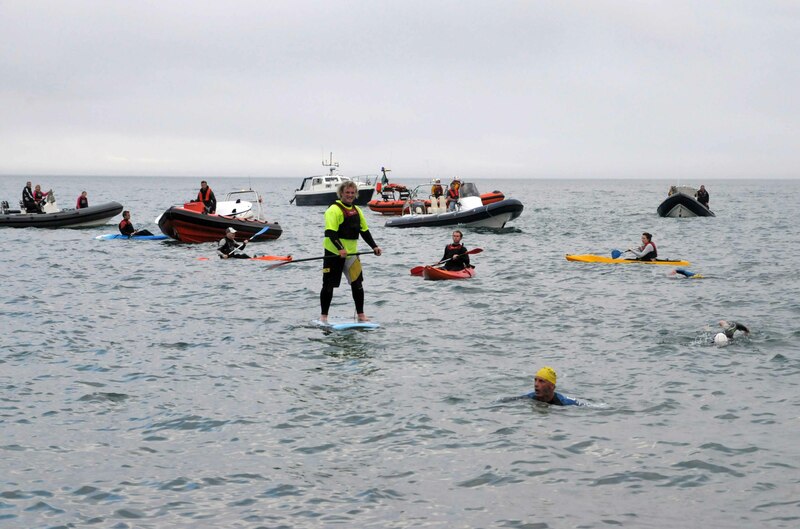 RNLI 2013 swim – a few pictures. With all of the pictures online, here’s a few that caught my eye…. 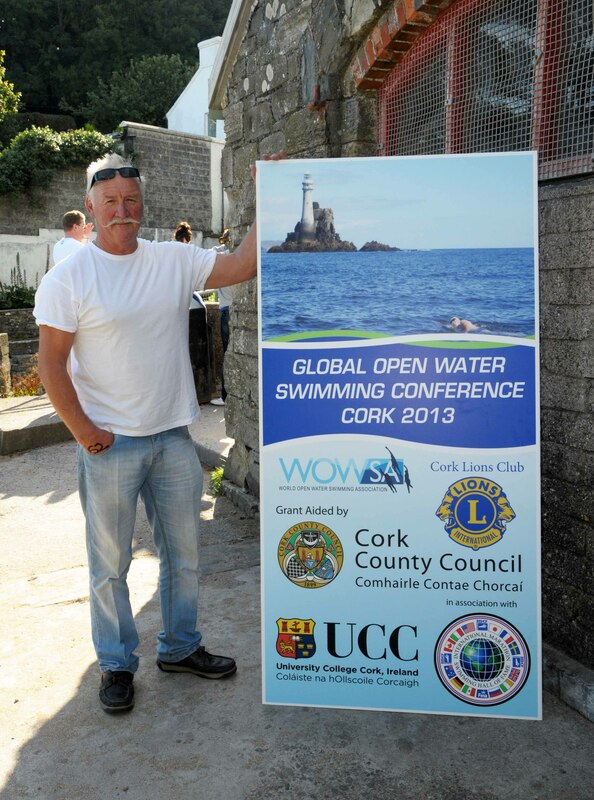 Tom McCarthy promoting the OWS Conference. Still some places left for the conference so please support it – book here. Further conference information on the website – well worth attending. 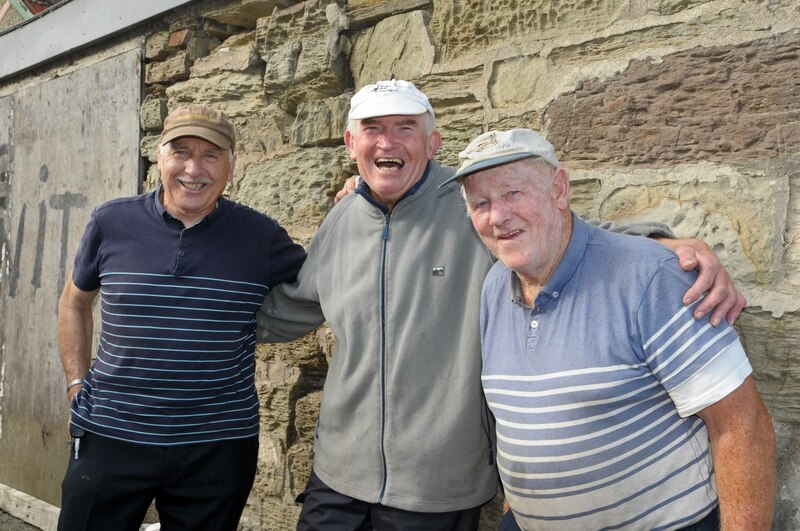 The real Myrtleville Swimmers – Pat Higgins, Tom Bermingham and Jimmy Long. A good view of some of the safety flotilla – with Kieran Dwyer and Peter O’Mahony ready to go on the slip. The safety cover on the day was unbeatable and every swimmer commented on it. 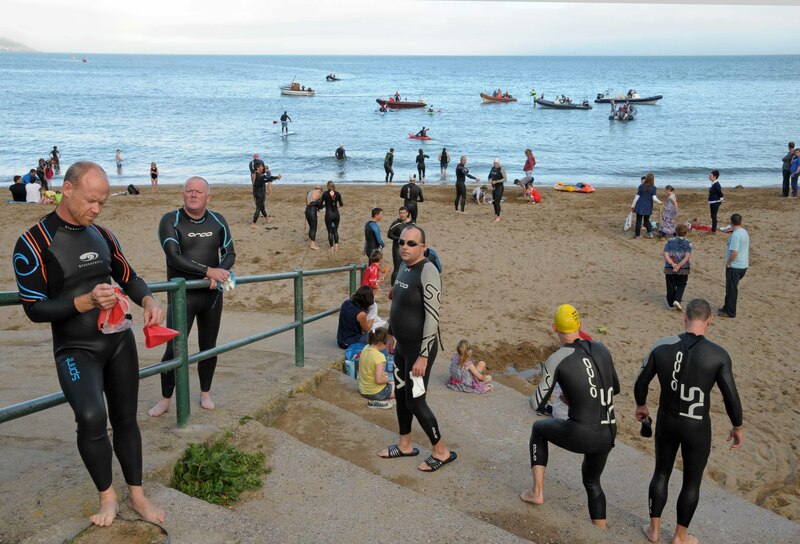 RNLI swim start 2013 – speedsters already moving out. 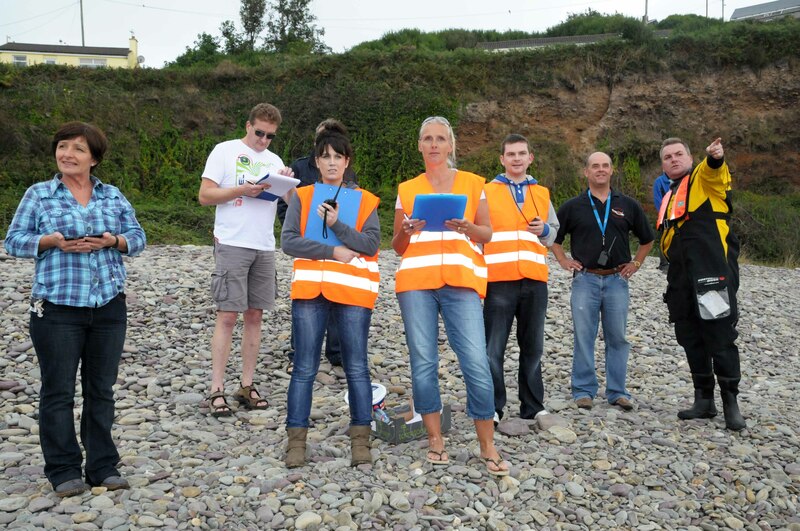 At the finish – the first swimmer is in sight and the team are waiting – Antoinette, Damian, Kate, Yvette, Conor, Bernard & Vincent. 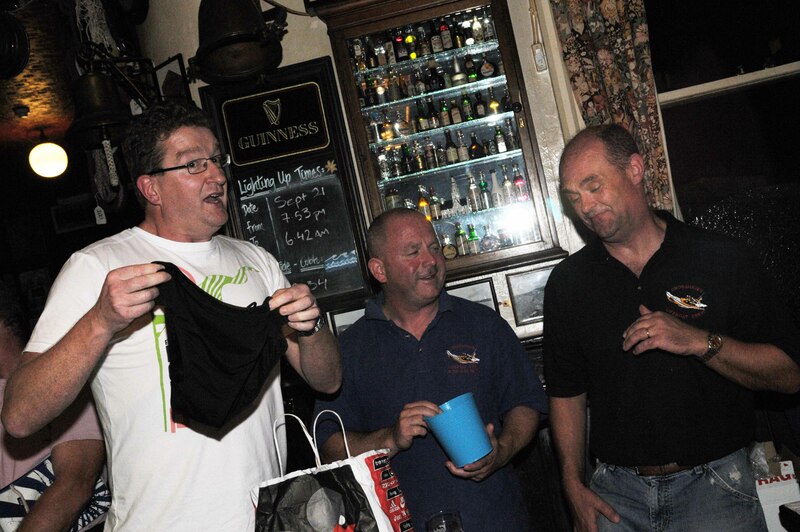 The spot prize-giving didn’t proceed in a very organised fashion – the least well-managed part of the day, if truth be told…. Thanks to The Edge Sports for sponsoring the spot prizes. 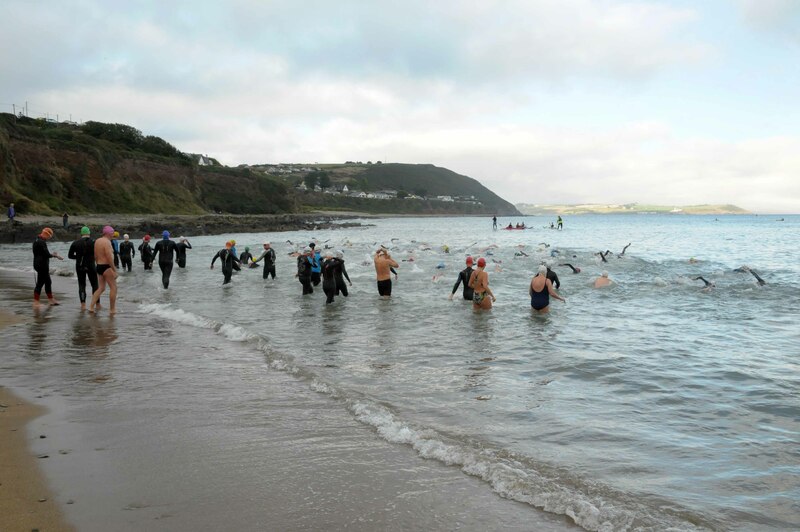 This entry was posted in Events and tagged Open water swimming - Cork, Open water swimming - Cork - Ireland, Open water swimming races, Sea swimming - Cork, Sea Swimming - Cork - Ireland, Sea swimming events by myrtlevilleswimmers. Bookmark the permalink.